This is 100% Pixar’s design from the film Inside Out, I only added the name and numbers (the jersey was blank in the film). 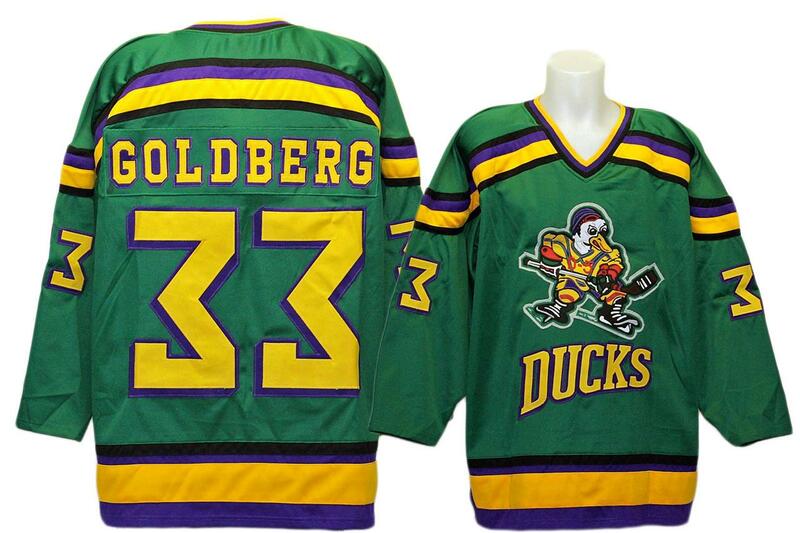 I haven’t seen the film yet, but I do like the design, which appears to pay tribute to the Mighty Ducks logo from the films. I also dig the seafoam green, which isn’t exactly a common color in sports design. No plans to offer this, because the massive merchandise machine that is Disney will have this covered in some form. At least, I would hope so. Posted on June 21, 2015, in Geeky Jerseys, Hockey Jersey Design and tagged davesgeekyhockey, Disney, Films, Fog Horns, Hockey Jersey Design, Inside Out, Pixar. Bookmark the permalink. 7 Comments. I need one of these for my granddaughter! I hope you might be able to work with Pixar/Disney if they have no plans to make this jersey. I’m sure a bunch of their staff would love to have one of these. I’m a huge Pixar and hockey fan so I would be first in line to buy one of these if they ever got made. We would like you to make this if possible!! How much would it cost?? It would be fantastic if this one becomes a reality. I would certainly wear one proudly. I’ve been stalking your website for over a year now in hopes that this would become available. How were you able to make the space rangers work? This design had no traction or audience, Rangers did.